I'm thinking about what to do for upcoming Christmas, and I think that a new site theme would be ideal. This time it will be something bigger. What do you think about Dark Resurrection theme? With a big CG of Yoshi from TK DR in a banner? For sure I'll add more functionality to the site (better navigation). And I'll do my best with the graphics. Any further ideas? About new skin, good idea, for the present moment I like Hell's Gate , can u make better than this? This one is cool, so good luck ! The DR pic of Yoshi looks crappy to me. I'm counting on you to make it look good and put it to good use. LOL Myself... I don't like colours (red? heh...), but new render is more dynamic for me, and so I like it. If you don't, then why you made such an avatar? I'll do my best. In the upcoming year I won't have time... I gathered articles and books and I'll be drowning in them, learning, studying, ... gah! Just suggestions. I'm sure whatever you conjure up is more than adequate! Of course I'll do what you want, so any ideas are welcome. Just, I also like "nice names" of site themes... I thought about "Dark resurrection" of Yoshimitsu Obsession Team. We're Yoshi-obsessed after all, this site doesn't seem to gather anybody else. Buggy outfit? HMMM... Sounds interesting, I also like this outfit. Still classical "Serene forest" is waiting. I can also do a merge of tradition (forest) and modernity. I though about animations being similar to the energy running across Yoshi's body in his Tekken 5 outfit. I have just too many ideas. Or maybe you have a completely different idea? I think the buggy outfit would go perfectly with the Serene Forest theme. Since, after all, where would you find a bug if not from a forest? By the by, wouldn't it be interesting to try and make some sort of "Manji Village" theme? It might be a little challenging to perform, though, since none of us know what kind of 'village' it is. You'll see my vision of the village in The Blood Ring sooner or later, but it's not very exciting. Gah, I'm better off to bed soon... I'm getting very "tired" ideas. Humm! Interesting! But you will have to explain me how to do it. I like the Japanese Beetle verson of Yoshimitsu in Tekken 4. I thought he looked kind of neat but of course this is from someone who thinks snakes are neat. So. But on the DR things, hum. Namco did mess up bad on that. Taking out some of the style changes but everyone has their own opinion about it. In a way. 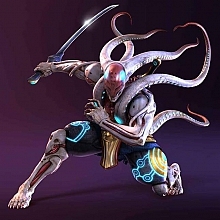 I wished that they would bring the beetle Yoshimitsu back. 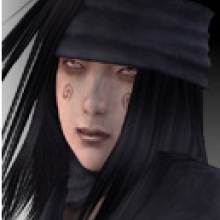 Tenshimitsu : If you don't [like it], then why you made such an avatar? I'm just trying to keep up with the times. Same reason why I think a Dark Ressurection theme would be better than a T4 Bug-outfit theme, at least at the moment. Or perhaps you could "Dark Ressurect" the Serene Forest somehow! With the Dark Ressurection theme, how about adding the new daytime Demon Gate Stage to it? Joulupukki come? I couldn't write it earlier cause I was helping tomy Mummy in da Kitchen. Merry X-Mas y'all! Or (let's hope this is correct... :blush) Wesolych Swiat! Ah, let's not forget Yoshi's language; Merii Kurisumasu! Aye, Joulupukki came. I finally got my own TV so I can play Tekken 24/7, and I got a new Judogi. It has shoulder decorations and all, I love it. I, behalf of Team Rautanyrkki, wish you all the best Christmas.